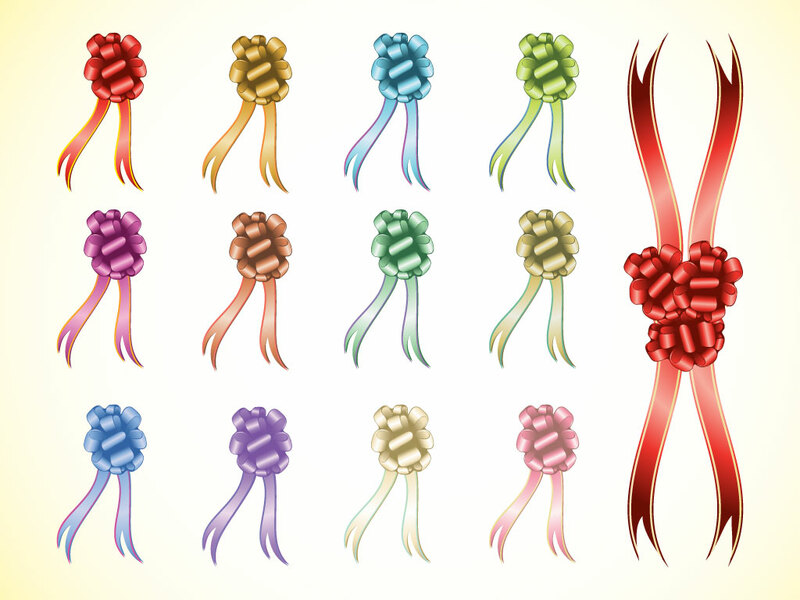 Two different styles of satin ribbons to choose from in twelve different color schemes. Download these cool decorations for your Christmas, Valentine’s and celebratory designs. Dress up your projects with these great time savers. Tags: Bow, Christmas, Decoration, Gift, Giving, Present, Ribbon, Satin.